With Rex Ryan in front, the Bills will seek its second straight win over the reigning champions of the NFL, something they have failed to do in recent years. The last time Buffalo won two straight in the series was 15 years ago. The good news for Buffalo is that their division rivals could be without quarterback Tom Brady, who was suspended by the league for the deflategate incident. 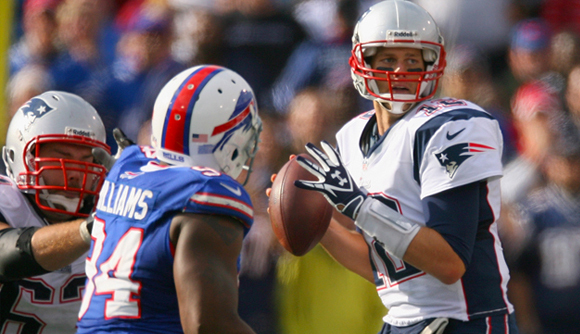 In 26 career games against the Bills, Brady has 23 wins and only three losses. The Patriots are slight favorites in the NFL Odds listed -1.0 to win this game. The Bills have been able to win only one (2011) in the last 11 games against Bill Belichick’s squad in Orchard Park. In the past five of the series, the Pats are 4-1 SU and 2-3 ATS. If the Bills want to end their bad streak against New England and have a chance to win the AFC East title, this match could be the first step. Buffalo has the longest active streak without advancing to the playoffs, with 15 years in a row. Player to watch: Running back LeSean McCoy, who in four of his six seasons in the league has surpassed 1,000 yards, will try to make a difference in this game. It will not be an easy task because the Pats finished in the top-10 against the run last year accepting an average of 104.3 yards per game.